We are going for KICKSTARTER. Subscribe below, to be notified. We have a special offer just after you subscribe. with WalkOVR, you do not sacrifice your play area. Do you need to walk just a few inches inside? or you need to get the clip from the surface to reload your weapon. Just do it freely, no problem. Instant moving and stopping in VR is extremely important otherwise it ruins your immersive experience. Just move and stop instantly with WalkOVR, as you do in real life. Even in keyboard mode..
Moving backwards and strafing is as easy as tilting your upper body. Sensitivity and many other parameters will be fully configurable with WalkOVR client: OVR Portal. What about physically moving in your favorite games in VR, with 3D stereoscopic drivers such as VorpX? It is perfectly possible if you use WalkOVR. Subscribe below, to be notified. WalkOVR is a set of motion nodes that users wear on their ankles, knees and the body. 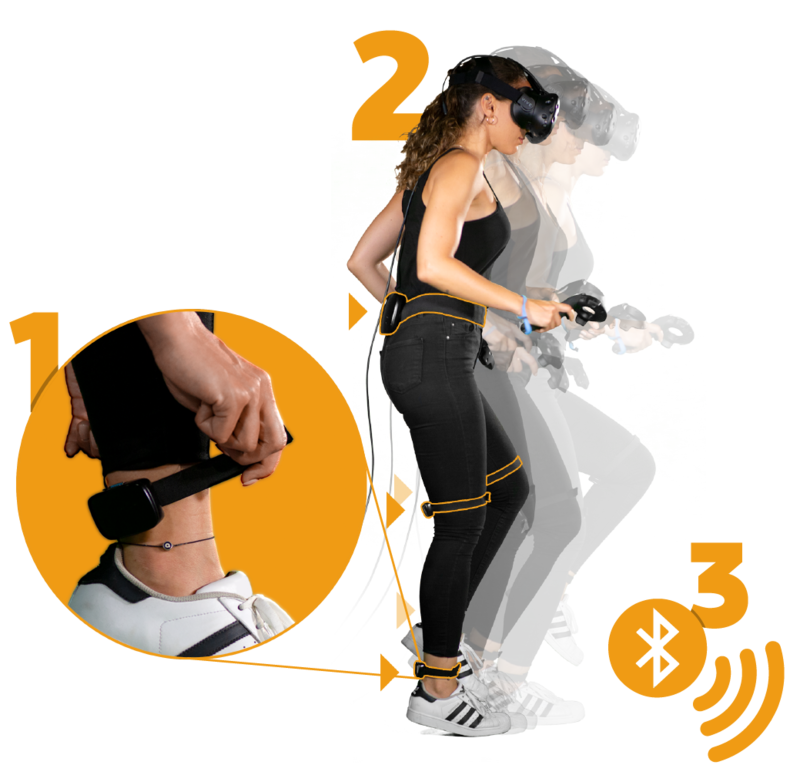 When users start moving in place, the algorithms running inside WalkOVR track gamers’ lower body movement and determine the type of movement. Then, in a few milliseconds, calculated and filtered motion data transmitted to OVR Portal, our client, via Bluetooth. 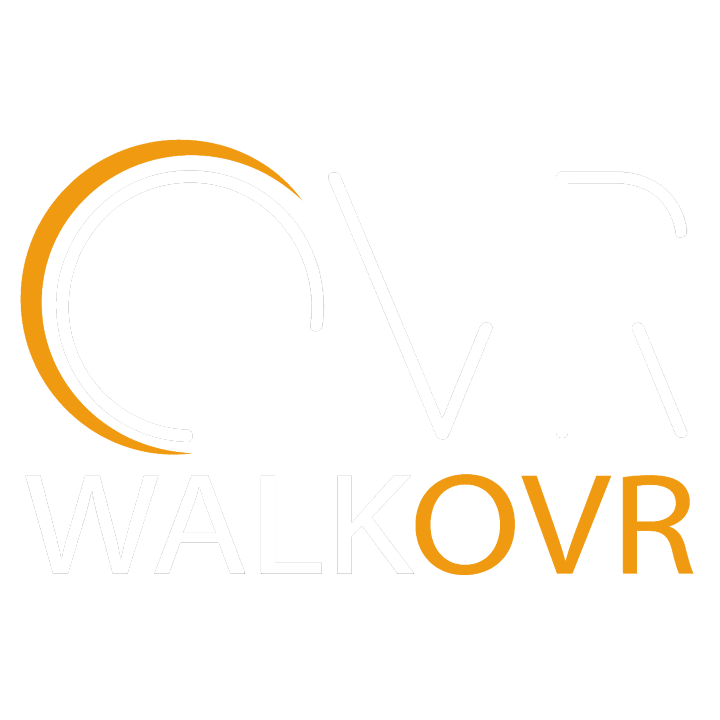 OVR Portal handles the integration of WalkOVR with SteamVR. 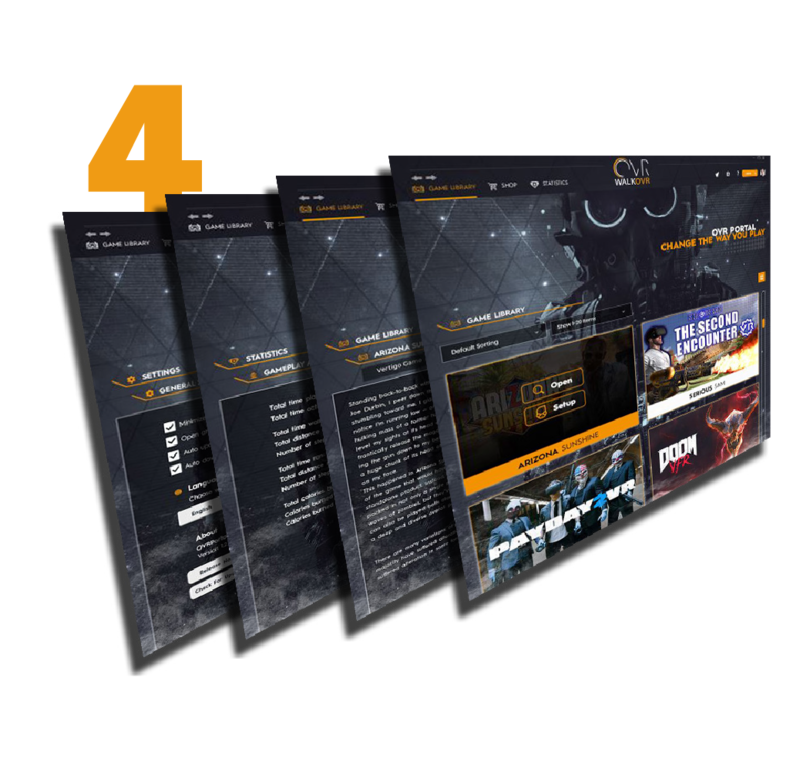 It recognizes compatible games in user's steam library, lists them and adjusts the main parameters for compatible games. Once the motion info was transmitted, OVR Portal starts processing the incoming data and converts it into your favorite VR game. We wanted to prepare a simple unboxing video to show current contents of the box. A sneak peak of the current status of our client and installing drivers. Here is a short video on how to wear WalkOVR nodes and be prepared for VR Gaming. Active VR experience with motion capture and high performance. Up to 4 hours of physical gaming. We made it wireless, and we made it Bluetooth. We designed it for gamers' comfort. Hassle-free setup, more convenience. Plug & Play. Native VR, 3D stereoscopic or mobileVR games. WalkOVR designed for all VR Modes, for all games developed today or in the future. Walk, Run; forward, backward. Strafe and Bend in Virtual Reality, but with your physical body. You don't need to wear tights with WalkOVR. Just strap the nodes on your body, and get into play. It takes less than a minute to suit up. Multiple trackers in one package, without waiting new games developed for it. WalkOVR is compact, cost-efficient and for your everyday games. Below Games Are Those We Tested So Far..
WalkOVR is compatible with locomotion supported top steam VR titles such as Arizona Sunshine, Doom VFR or Fallout 4 VR. Do you want to play Onward with your legs? Fine. Then WalkOVR is just for You. Basically any game that supports smooth locomotion through VR controllers. Basically any game that supports keyboard or gamepad and that can be converted into VR with 3D stereoscopic drivers. The games that are in our "to be tested" list. Doesn't mean we are not compatible with. These games were most probably requested by fellow gamers like You.